African students can apply to be Mastercard Foundation Scholars at UCT. Mastercard Foundation Scholars are committed to going home to put their skills and education to work. 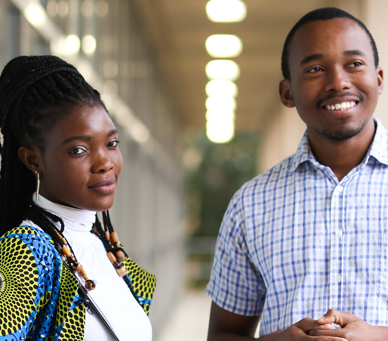 The Mastercard Foundation Scholars Program puts the future in the hands of Africa’s youth. Do you have what it takes to be a Mastercard Foundation Scholar? The University of Cape Town is looking for the next generation of leaders to join this unique scholarship program. Until 2020, over 300 African students will be awarded full scholarships to UCT as part of the Mastercard Foundation Scholars Program. The initiative provides students with a top-level education, as well as leadership and career development, mentorship and access to a global alumni network. Learn how you can join us and help make positive change in our communities. UCT launches an annual call for applications to the Mastercard Foundation Scholars Program between April and June. Apply for your place from April each year. Our Scholars make time to grow and give back while studying in Cape Town. Get to know what our Scholars are up to in the Mother City.